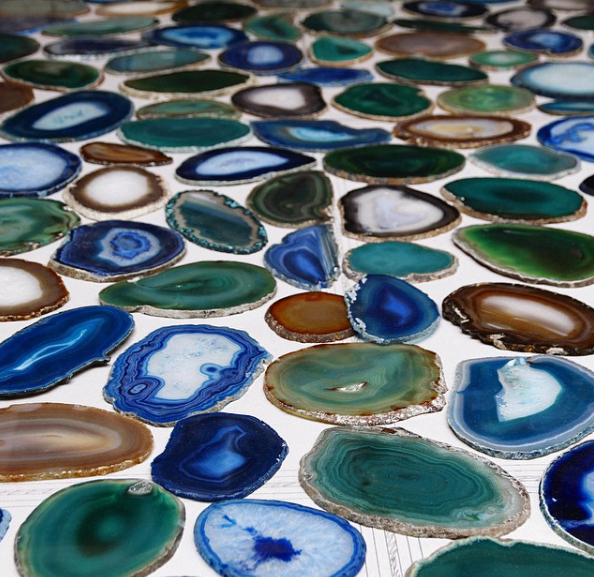 In collaboration with BE Architecture Adadaz designed and fabricated two front door entryways using agate. 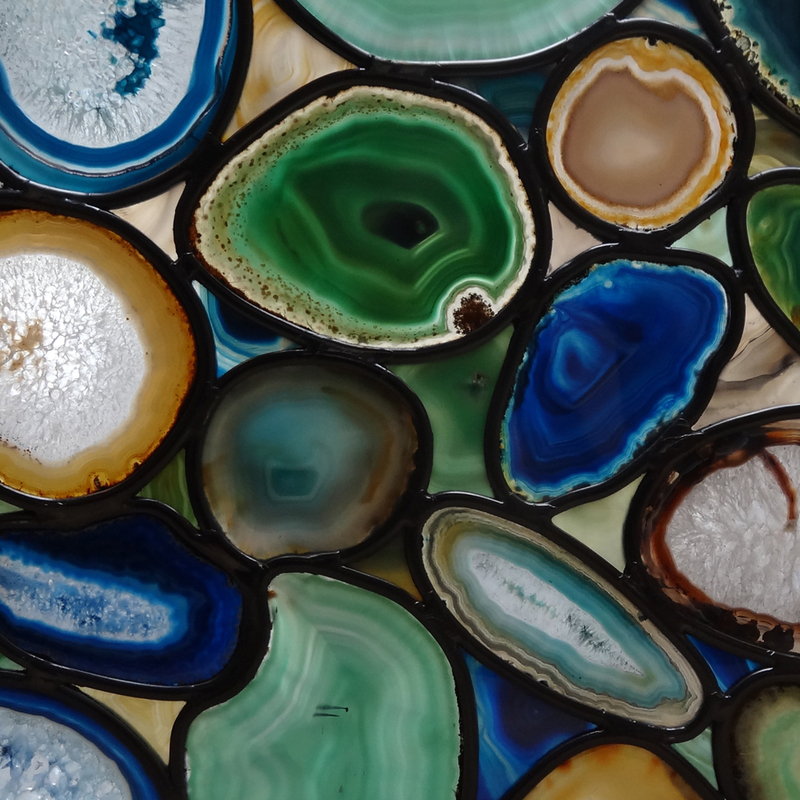 Detail: The sliced agate is carefully chosen and cut using a diamond bladed saw. 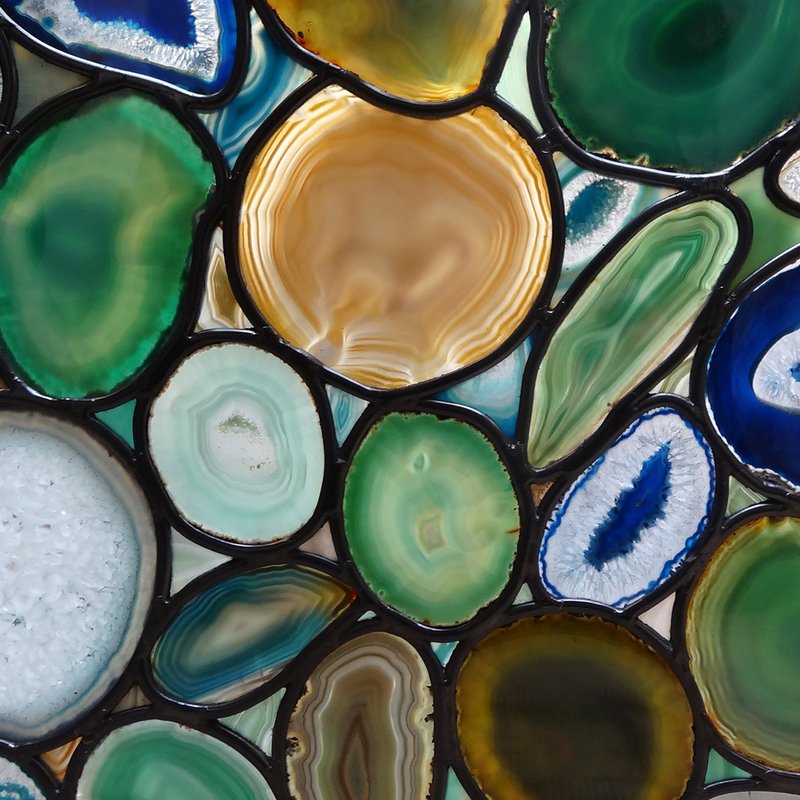 The pieces are then fabricated in the traditional manner of leadlighting. 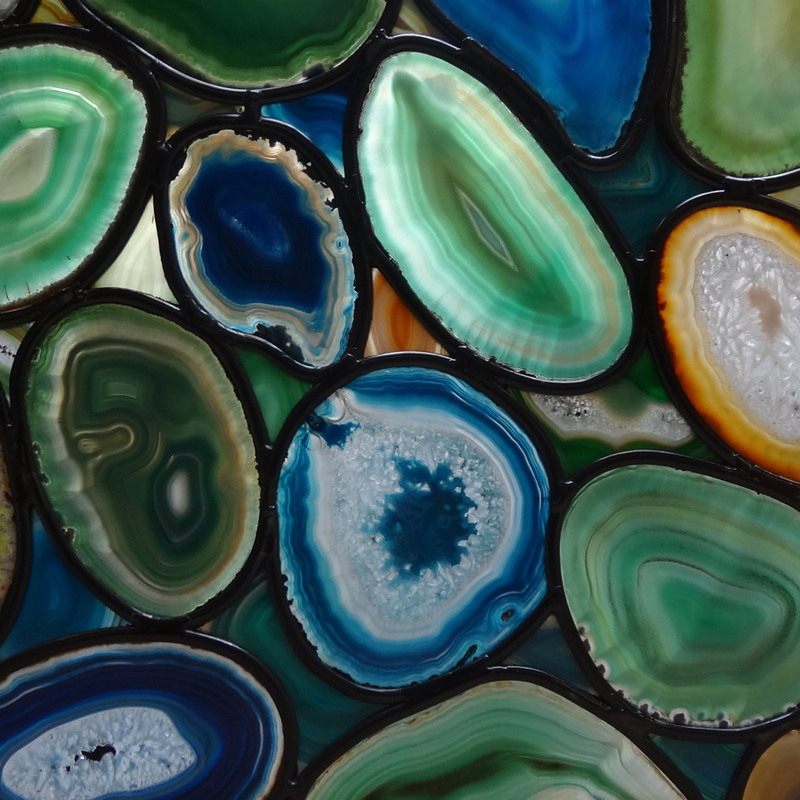 As no two pieces of agate are alike the resultant panels are colourful, vibrant and unique. 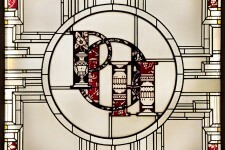 This feature window is in an Art Deco style but combines the use of period textured glass and salvaged red etched glass to give a contemporary feel. 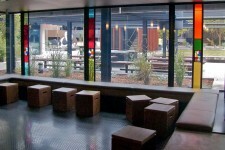 The flags of over a hundred nations can be seen in this installation on Brunswick St, Fitzroy. 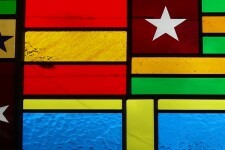 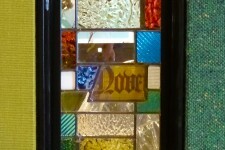 The modern designs incorporate fragments of 19th and early 20th century glass from English churches. 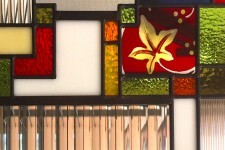 The design uses clear textured glass as a background and features the use of reclaimed etched glass and vibrantly coloured modern glass set in black steel frames. 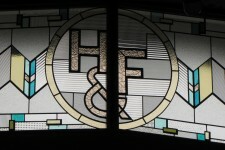 This modern take on an Art Deco window features a central logo from which concertinas out a bold pattern of coloured and clear textured glass. 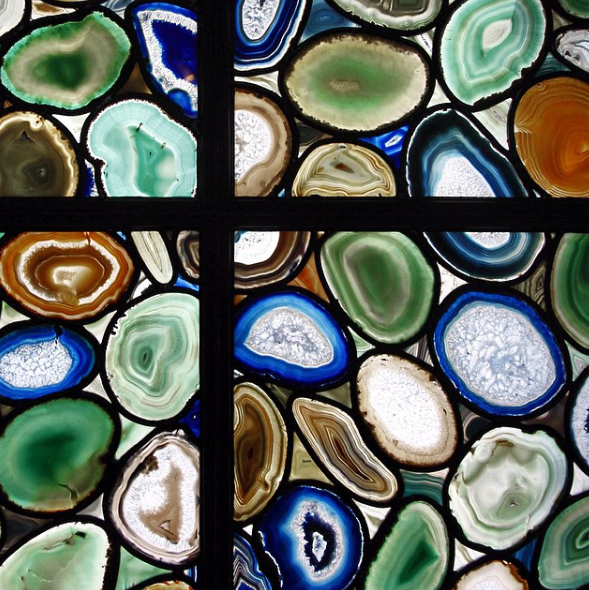 Stained or Leaded glass can also be used in light fittings and skylights. 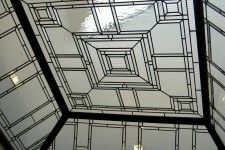 Art Deco and Contemporary leadlight styles are particularly well suited to lighting and skylight designs. 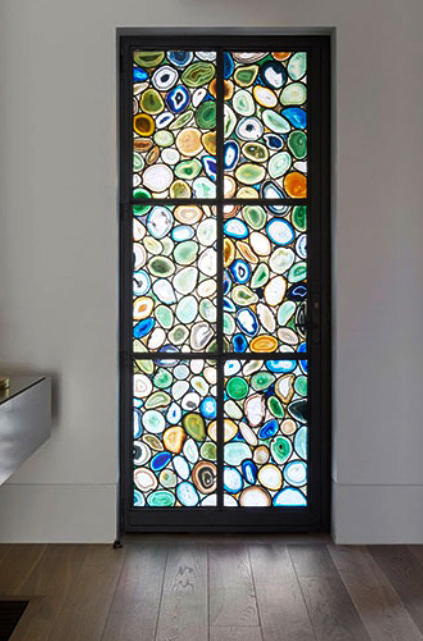 Adadaz and glass designer Tony Hall worked closely with the renowned Melbourne architects Six Degrees to create a vibrant, contemporary look using traditional leaded glass and modern laminating technology.